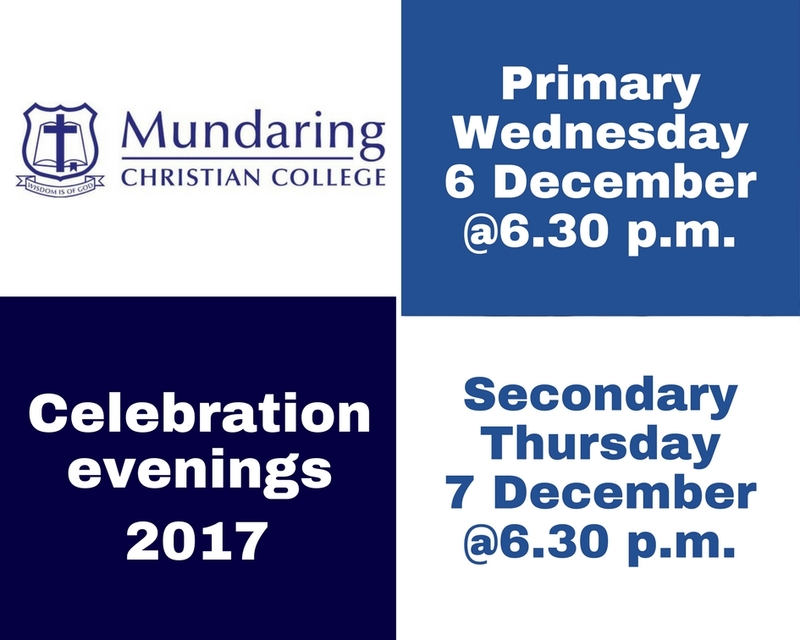 The Primary Celebration Evening will be held on Wednesday 6 December and the Secondary Celebration Evening will be held on Thursday 7 December. Both evenings commence at 6.30 p.m. and will be held in the Mundaring Campus Gym. These evenings are always fantastic community building times, and we look forward to seeing you there. Please note that student attendance is compulsory.